Tauranga customers please call us for dates/availability. ROTORUA SUBURBS within 10 km radius of Fairy Springs Gondola. OWHATA has a $15 delivery charge. Lake Okareka, Mamaku, Paengaroa, Pukehina, Pongakawa, Te Puke. TAURANGA & SUBURBS Bethlehem, CBD & suburbs, incl Gate Pa, Greerton, Mount Maunganui. 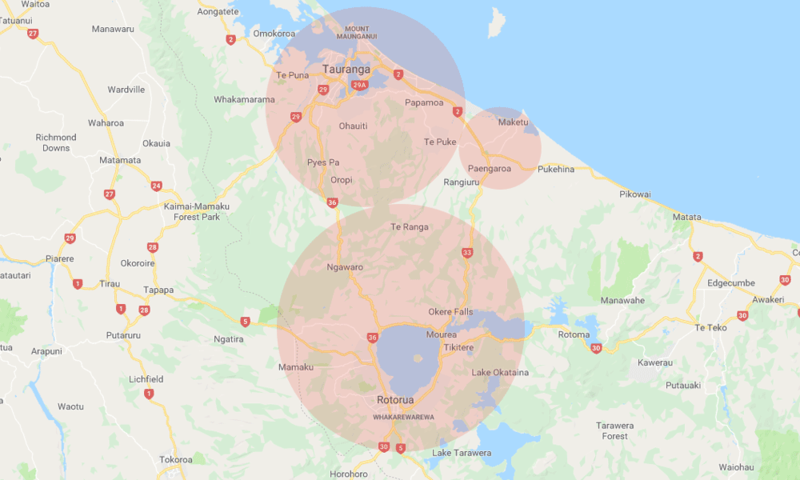 Papamoa and all other areas. OUT OF RANGE: Matamata, Omokoroa, Pahoia, Katikati, Waihi, Paeroa, Atiamuri, Murupara, Putaruru, Taupo*, Tirau, Tokoroa*, Kawerau, Whakatane. * unless for an event. PARTYBULL Mechanical Bull travels anywhere. Contact us for the travel charge. Call us now to make your booking or find out more.